Smart home hub Revolv, which lets you control your various connected home gadgets with a single app, is getting an automation boost thanks to a partnership with IFTTT. In the coming weeks, Revolv users will be able to connect with IFTTT to automate exactly how their smart gadgets react when specific events occur. The company says it will initially focus on interacting with third-party web services when Revolv's IFTTT channel rolls out. This will allow actions such as automatically pausing your Sonos system when you receive a call on your smartphone. A specific launch date for the Revolv channel on IFTTT was not announced. If you've never heard of it, IFTTT (if this, then that) is a popular and easy-to-use web service that can automate tasks for you or deliver information if certain conditions are met. Any of the actions or "channels" supported by IFTTT can be programmed to interact with the others. You could, for example, get an SMS sent to your phone if tomorrow's weather forecast calls for rain or snow. IFTTT can also let you do things like use SMS to enter data into a spreadsheet, or automatically save any photos you're tagged in on Facebook to your Dropbox account. 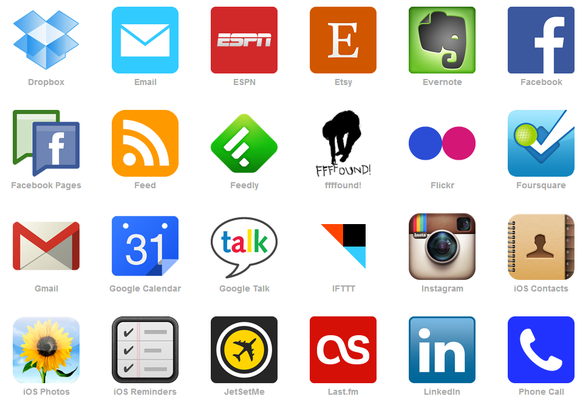 Each IFTTT task is called a "recipe" that you create using IFTTT's relatively simple user interface. To learn more about IFTTT, check out our tutorial on how to use IFTTT to automate your online life. Then after you've got the IFTTT basics under your belt, we have some recommendations for great IFTTT recipes, and even a few more that can help you be more productive at work. Revolv joins a growing number of smart home services and products partnering with IFTTT including ADT, Belkin's WeMo devices, Nest, Philips Hue lights, and SmartThings.